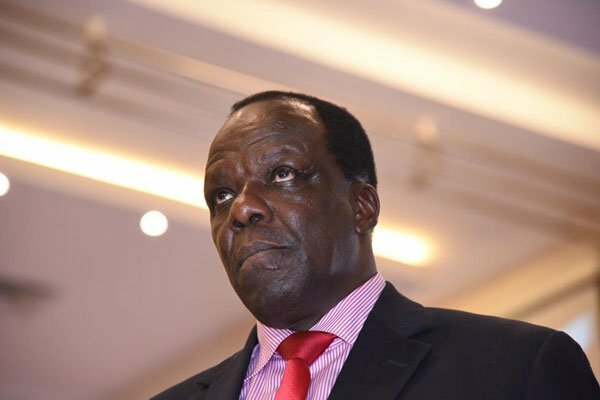 Monday January 14,2019-Kakamega County Governor , Wycliffe Oparanya, is now the new chairman of the Council of Governors after Turkana Governor , Josphat Nanok’s tenure ended in December last year. Oparanya , who is also ODM ‘s deputy party leader, beat Anne Waiguru (Kirinyaga), Anyang’ Nyong’o (Kisumu), Salim Mvurya (Kwale) and Jackson Mandago (Uasin Gishu). Muranga Governor, Mwangi Wa Iria, was elected as Vice Chairman of Council of Governors. The election of the officials took place at Movenipick Hotel, Nairobi, and was attended by more than 40 governors. Oparanya is the fifth governor to be picked to head the council after Isaac Rutto (Bomet), Peter Munya (Meru), Salim Mvurya (Kwale) and Nanok. ODM party under the leadership of NASA leader, Raila Odinga, congratulated Governor Oparanya for winning such a voted seat. “Hon. Oparanya has shown exemplary performance since his election as Governor of Kakamega County six years ago. His track record speaks for itself and his election today only confirms the confidence his colleagues in the Council of Governors have in him. It is our hope that Hon. Oparanya will use the position to champion for the strengthening of Devolution for a better future of our Nation,"ODM said in a statement.